Through cause marketing campaigns, we make cash and product donations to nonprofit organizations in support of causes that are consistent with our brands’ purposes. Whether it’s funding for educational campaigns to promote public health or to groups committed to causes such as animal welfare and STEM education, cause marketing is a way to do well by doing good. The Clorox brand signed a three-year partnership with Evidence Action to supply bleach for its bleach dispenser program in Africa that will provide safe drinking water to up to 4 million people in Kenya and Uganda by 2020. This is an expansion of the Clorox Safe Water Project, which began in 2012 and now reaches 25,000 people in rural Peru. The Brita brand partnered with the Alliance for a Healthier Generation and basketball superstar Stephen Curry to launch Filter for the Future, a grant program that provides schools with access to clean, safe and sustainable drinking water. Through the purchase of specially marked products, consumers are helping support the initiative to equip approximately 100 schools with Brita hydration stations that will enable kids to fill up their reusable bottles with filtered water instead of relying on single-use plastic water bottles. 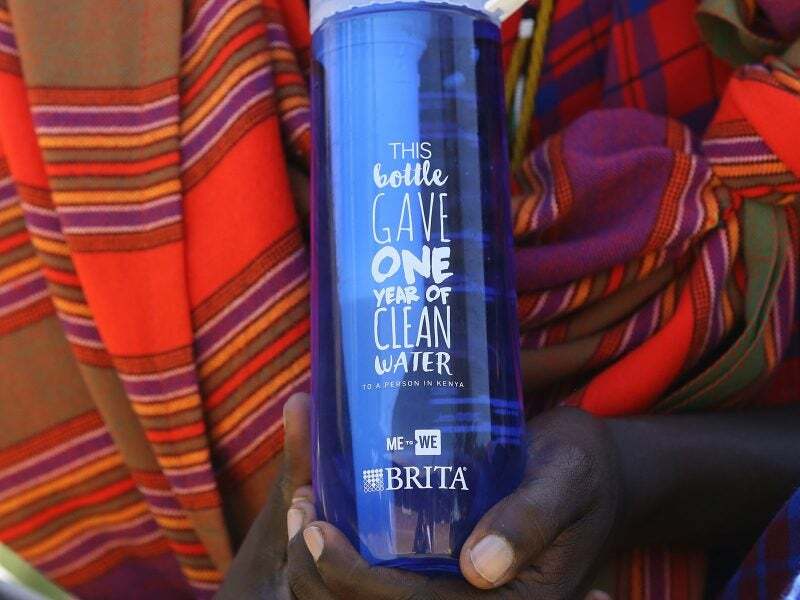 Brita Canada expanded its Filter for Good™ program to help provide cleaner drinking water to 120,000 people in Kenya by committing to support the completion of a second borehole, a type of well, by the end of our 2019 fiscal year. Through a continued partnership with the global nonprofit WE, the brand’s initiative also impacts education, since many young girls who had been responsible for retrieving water for their families will now be able to attend school. In New York, the Clorox brand partnered with local nonprofit Thrive Collective and more than 250 volunteers from the local community to clean and transform a former school into a youth arts center. The freshly cleaned space will serve as Thrive Collective’s new headquarters and will create new possibilities with arts and mentoring programs for at-risk youth in Harlem. The Kingsford brand donated to the Movember Foundation and encouraged men on social media to help support efforts to improve men’s health, with support from former professional football player Vince Wilfork. Our Clorox brand partnered with DonorsChoose.org to provide Clorox disinfecting wipes to schools in January — when classrooms are low on supplies — in addition to the more traditional fall back-to-school season when cold and flu begins in earnest.